We graduated with the highest temperatures in our class. Doctor Strange. 12×18 on watercolor paper. Available now in the shop. Head over and pick it up. 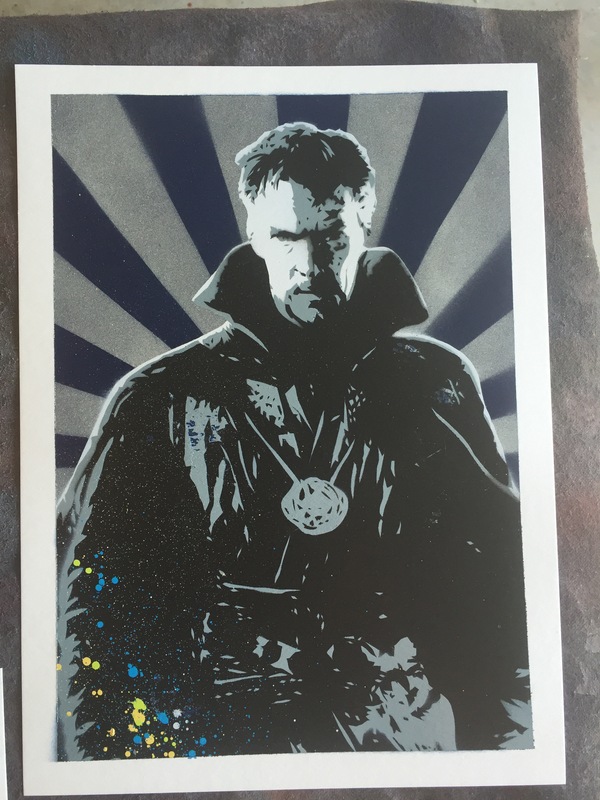 Doctor Strange with spraypaint on 9×12 watercolor paper.